My son’s birthday is this 10th March and he’s turning 8. We plan on having a quick, simple pool party for him and his friends. He loves Star Wars, especially BB 8. I hope you help me with his invitation and thank you cards. Splish-Splash! It’s time for Water Slide party! If you are a big fans of Star Wars and wants to celebrate your birthday party, Water Slide and Pool party can be a good option! 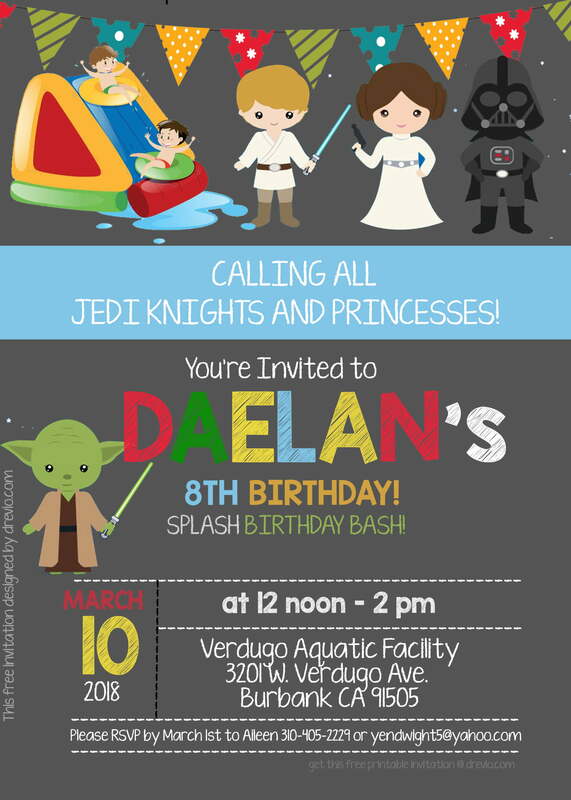 Swimming with Jedi and Darth Vader is a great way to celebrate your party! 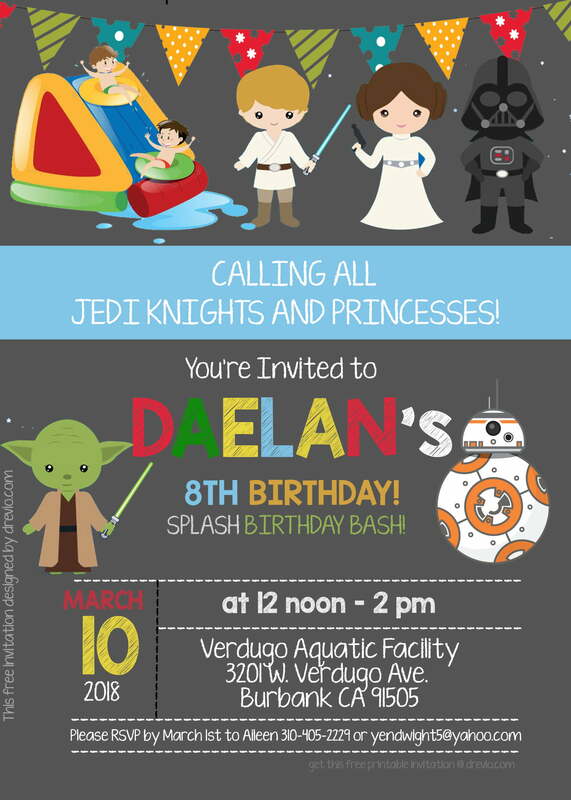 Now, you can save more money by downloading our FREE Star Wars Water Slide and Pool Party Invitation template. This invitation comes in PSD files, so you should be able to operate Photoshop before you decide to download this file. You can customize anything on it! Write down with the fancy text, add photos etc. You can change the name, date and location etc. You can get it for free! That’s it! Now, you can easily print it on your nearest printshop. You can use cardstock paper that brings authenticity and premium feeling to the invitation,.